What shall we ask the Dream Theater guitarist? 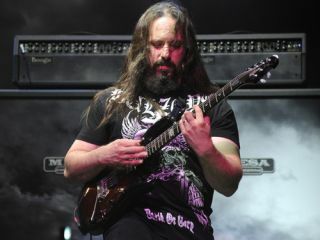 Guitarist, songwriter and producer, Dream Theater's John Petrucci is a household name in prog metal. In fact, his immense shredding skills have led to no less than six appearances in Joe Satriani's prestigious G3 lineup! We'll pick the very best questions and ask them during the interview later this week - good luck!